The health benefits of aloe vera have been known for centuries. As a topical agent, it is effective in treating cuts and burns. As an ingested supplement, the plant has potential digestive benefits. 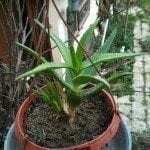 Growing your own aloe plants and harvesting aloe leaves for smoothies and other consumables allows you to get the freshest supply of this amazing plant. Knowing how to harvest aloe vera will help preserve the health of the plant and allow you to experience the flesh at its peak. Juicers and smoothies are all the rage with suggestions of supplements and additives to enhance their healthful properties. Aloe has many healthful benefits, but you should be cautious when ingesting it. Even a small dose can cause diarrhea, nausea, dry mouth and other complications in sensitive individuals. For stouter people, aloe harvesting can provide a ready source of the nutritious and healthful aloe gel. It is best to pick aloe from mature plants, preferably those planted in the ground. 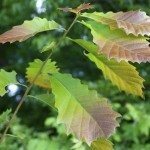 When the tips of the leaves attain a rosy tinge, the leaf is ripe and ready to harvest. The plant is fairly slow growing, so be cautious when aloe harvesting not to take too many leaves in a condensed period. Additionally, avoid removing the lower smaller leaves and focus on the larger upper foliage. Choose a thick, smooth large leaf and use a clean, sharp knife to cut it as close to the trunk as possible. A knife is the best way to harvest the leaves, as hand picking aloe vera may cause tissue damage to the leaf and the plant. 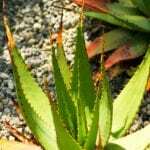 Unblemished leaves are the best tasting and contain the most aloe gel. Harvesting aloe leaves extends past the acquisition stage and into the preparation stage. Just getting a healthy leaf will get you nowhere if you don’t know how to prepare it properly. Aloe leaves contain a yellowish sap, called aloin, which can be very bitter and cause stomach upset in some individuals. 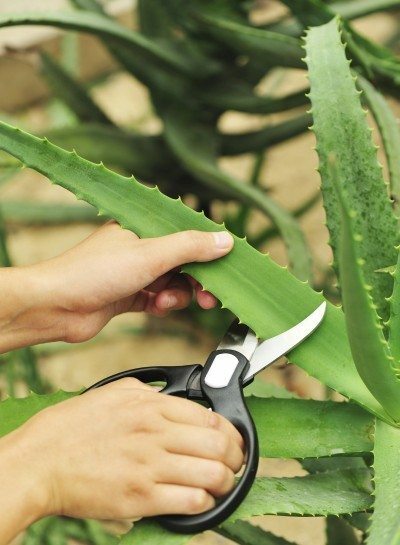 After you harvest an aloe vera plant, hold the cut end down so the aloin can run out. This will keep the gel from tasting so bitter. Wash the leaf then lay it flat on the table and cut off the serrated edges. Start on one side and filet off the skin, much like you take the skin off a fish. Continue removing the skin on all sides, including the yellowish layer, until a clear to white, translucent flesh is exposed. This is the good stuff and is ready to use after a quick rinse. Aloe in its purest form can be pureed with a fruit smoothie or juiced with other vegetables and fruit. It can also be cut into cubes and preserved by freezing for a month. 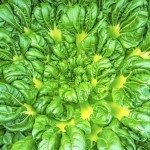 The jury is still out in the scientific community as to the health benefits, but many users feel the plant is useful as a digestive health supplement. Either way, the live plant juices are a good nutritional supplement just as any leafy green, and the texture adds interest to juices. In addition to harvesting aloe for its nutritional benefits, you can pick the leaves as needed for the treatment of minor burns or scrapes. Just squeeze the juicy sap onto the affected area for instant relief. If you are lucky enough to have large specimens, go out and harvest an aloe plant and see for yourself what the fuss is all about. Read more articles about Aloe Vera.